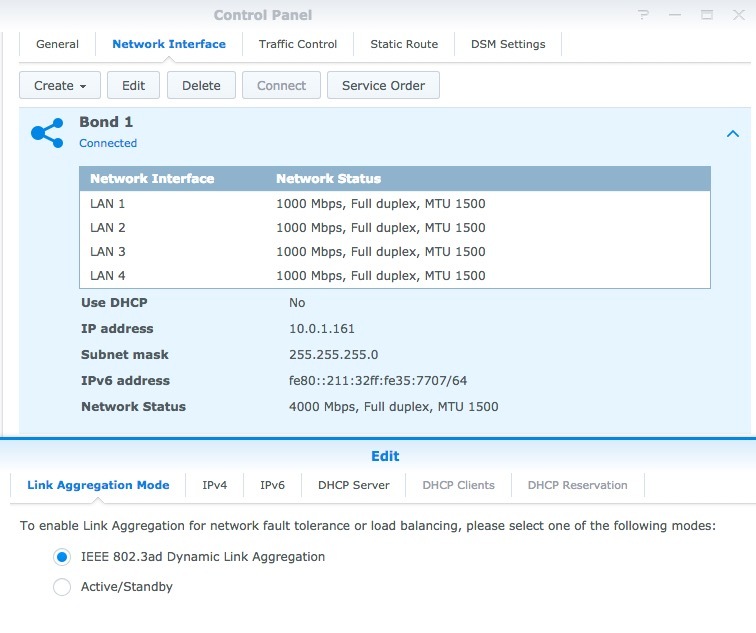 March 14, 2015 By John P.
If you happen to be looking to set up Link Aggregation (also known as LAG or LACP) between a Synology NAS and a TP-Link POE Switch here is exactly how to get it working properly. In my case, I used a Synology DS1815+ which has 4 ethernet ports, plus obviously a TP-Link TL-SG3424P POE Switch. First, I’m assuming that you have everything powered up, connected and running. And you have ethernet cables connecting each of the ports on your NAS to your switch. In DiskStation Manager 5.X, you need to go to the Control Panel and look in the Network Settings on the Network Interface tab. From the CREATE dropdown menu, select BOND, and choose the 802.3ad option. You’re going to end up with something like this. 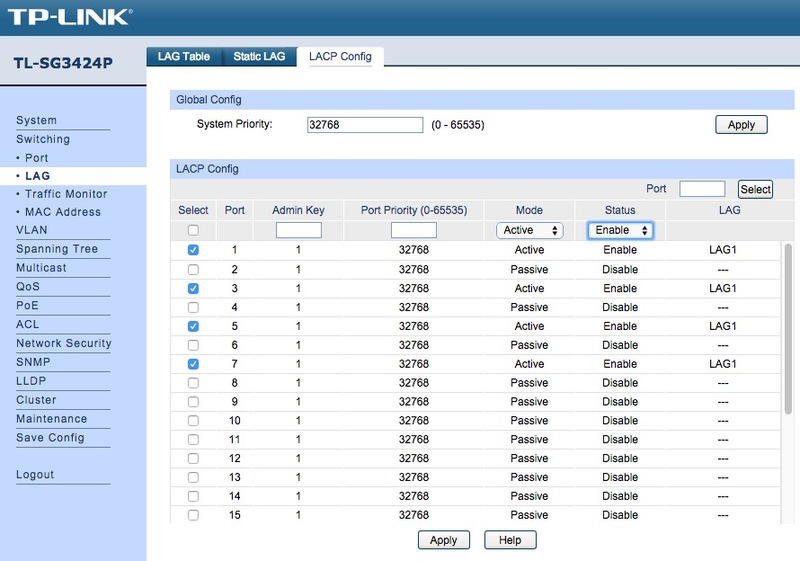 Next, you need to log into the admin interface on your TP-Link router and under Switching choose the LAG menu and the LACP Tab. Then select the ports you have your NAS ethernet cables connected to and choose ACTIVE and ENABLE from the drop down menus at the top. Apply the changes, and you should be good to go. Incidentally, you must be on the latest firmware for the TP-LINK switch in order to have the LAG menu to make these changes! Saw the issue – the “APPLY” button on the LACP page is at the bottom of the port list. I was using the APPLY button up top. All works as you describe. Without this doc, I would have been wondering if it was possible. Thank you for the doc!!! Thanks for writing this up. I have the exact two devices and cannot get the LACP tab to active/enable my ports. I’m on the newest firmware. I am only trying to bond two of the four ports. Was there anything else you did to get this working? I would appreciate any tips or suggestions. I am doing the same thing on a netgear switch. Works great!